When people ask me what my secret is to soft sugar cookies, the first thing I say is that it’s all about the thickness you make them. 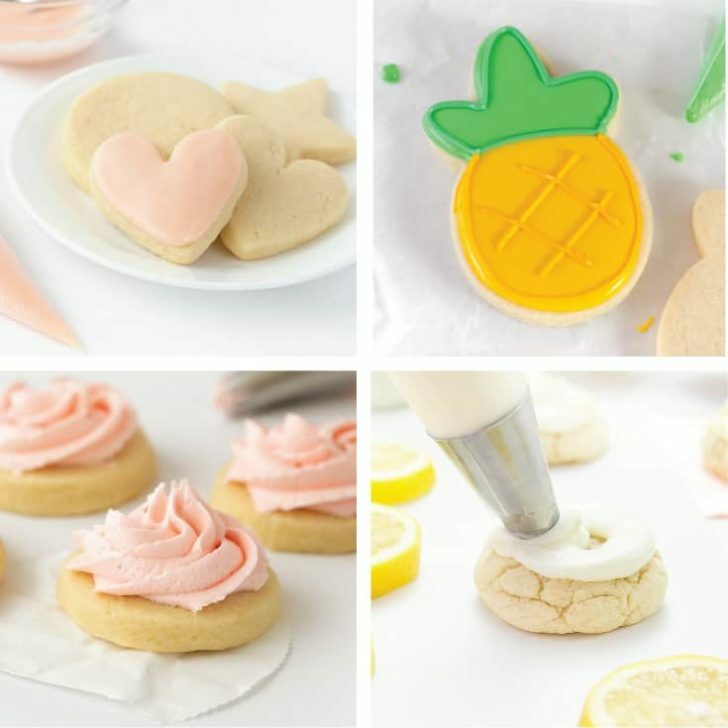 To achieve perfect cut out sugar cookies, you need consistency and thickness when you’re rolling out the dough. 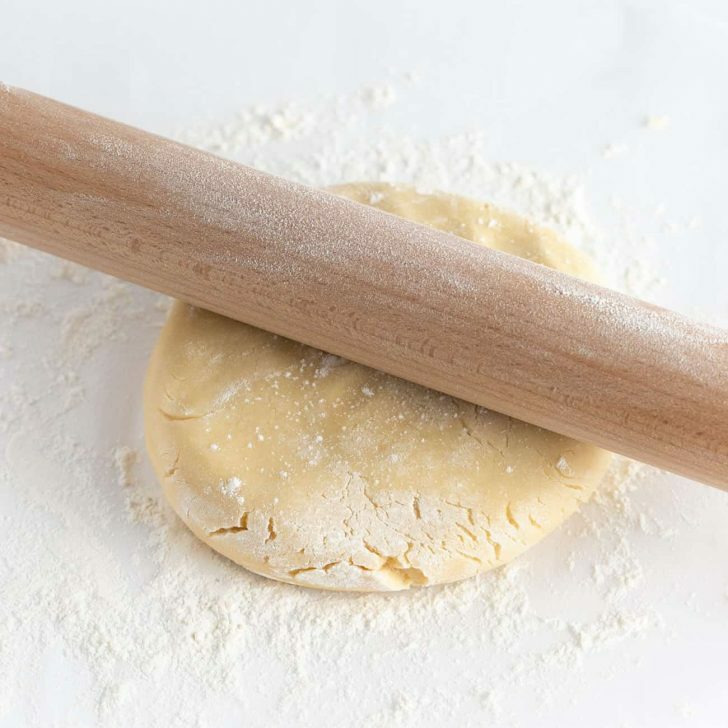 So today I’m going to chat through my rolling methods and what I’ve found to be the best rolling pin for sugar cookies. Note: this is not a sponsored post. I have owned this rolling pin for years and recommend it to anyone looking to step up their sugar cookie making game. If you do a quick search online for rolling pins, you’re going to come across a wide assortment of shapes and styles. From wooden, to marble, to ceramic, to plastic – there’s an endless number of colors and designs to choose from. 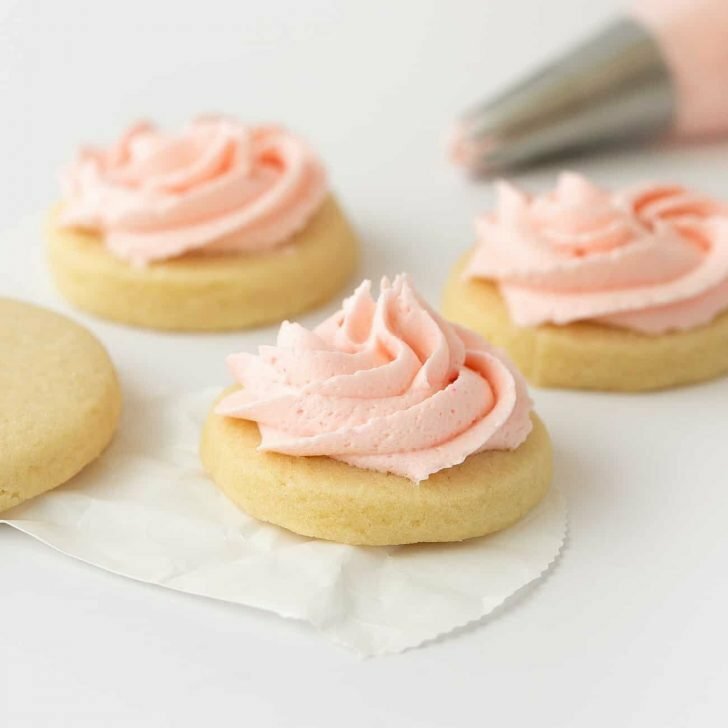 And while a gorgeous marble one may look the prettiest when displayed on your kitchen counter, it’s not what I’ve found to be the best rolling pin for cut out sugar cookies. 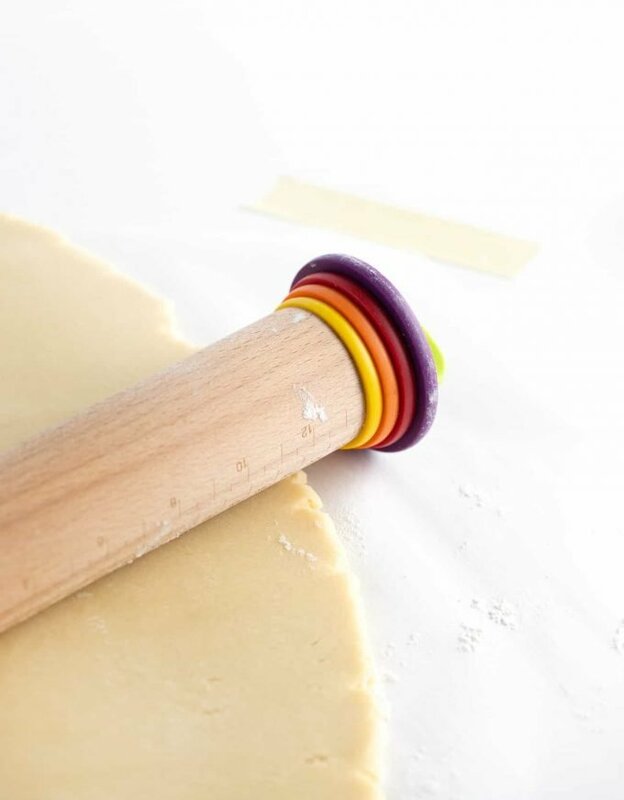 In my experience, the best rolling pin has several qualities beyond aesthetics (although this one is pretty cute with its rainbow rings!). 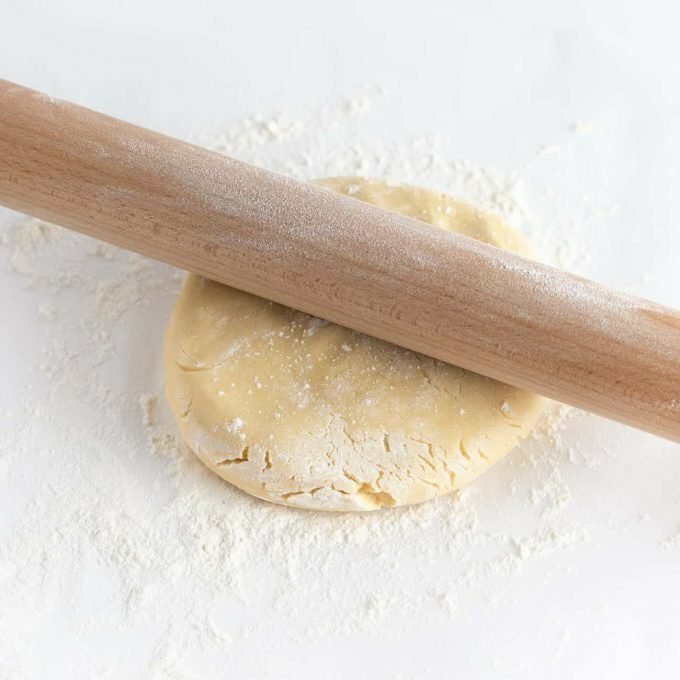 What Makes a Good Rolling Pin For Sugar Cookies? Relatively heavy in weight, as the wood also gives the rolling pin a nice weight to help evenly roll out the dough. If you’re rolling out chilled dough, having this weight is crucial. Long to allow to roll out wide sheets of sugar cookie dough. Adjustable rings to allow for different thicknesses. I most often roll my sugar cookies at 3/8″ thickness. 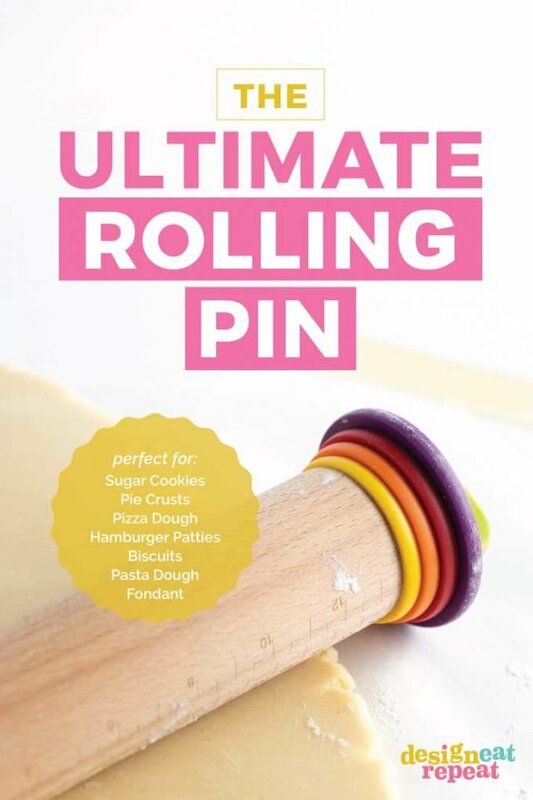 Skinny in diameter so that it’s easy for your hands to roll the pin while still applying even pressure (and so it’s easy to store in a kitchen drawer). With those four things in mind, I have used the Joseph and Joseph adjustable rolling pin for years. It’s easy to adjust, cleans up well, and has a nice weight to it making rolling easy. With it being wooden, it also holds flour well which helps with sticking. What Sizes of Rolling Pin Rings Does It Include? 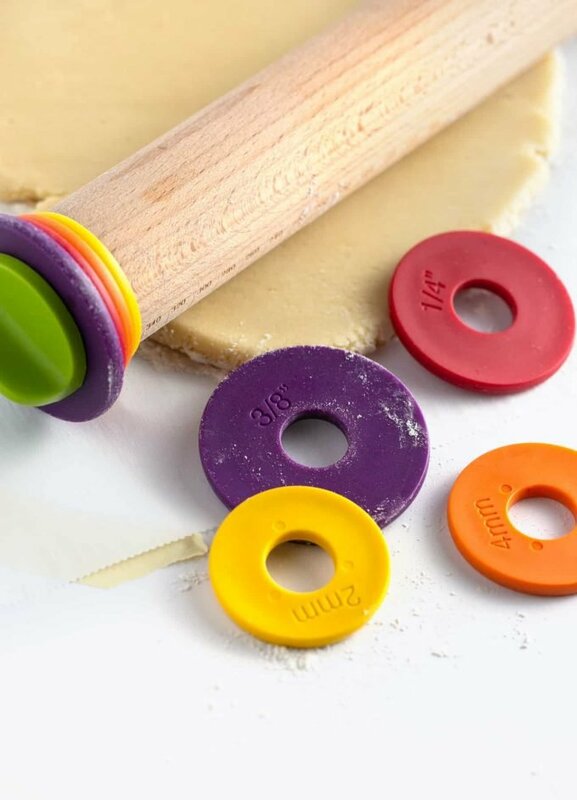 The Joseph and Joseph rolling pin includes 1/16, 1/6, 1/4, and 3/8-inch removable discs (also known as guide rings). I most often make my sugar cookies at 3/8″ thickness, which this is great for. If I’m looking to really impress, I will sometimes attach the 1/2″ rolling pin rings that I purchased on Amazon (they’re not the same brand, but still work). What Else Can You Use A Rolling Pin For? Basically anything that you need a even thickness. Can A Wooden Rolling Pin Go In the Dishwasher? It’s not recommended to run this through the dishwasher or submerge it in washer. To wash, simply run it under hot water, use a dishwasher brush to scrape off any pieces of dough, then dry with towel. If the plastic pieces have gotten overly greasy or dirty, simply unscrew them and wash with soap as you normally would any dish. You can find the Joseph Joseph rolling pin on Amazon or online at major retailers like Bed Bath & Beyond. 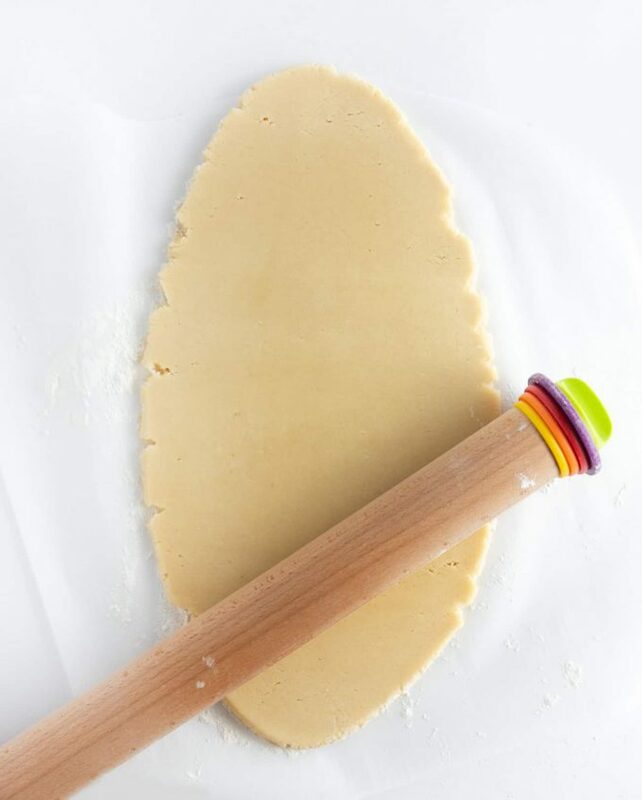 I use this rolling pin when making my favorite cut out sugar cookie recipe. Do you already own this rolling pin or have one similar? Well then, what are you waiting for?! 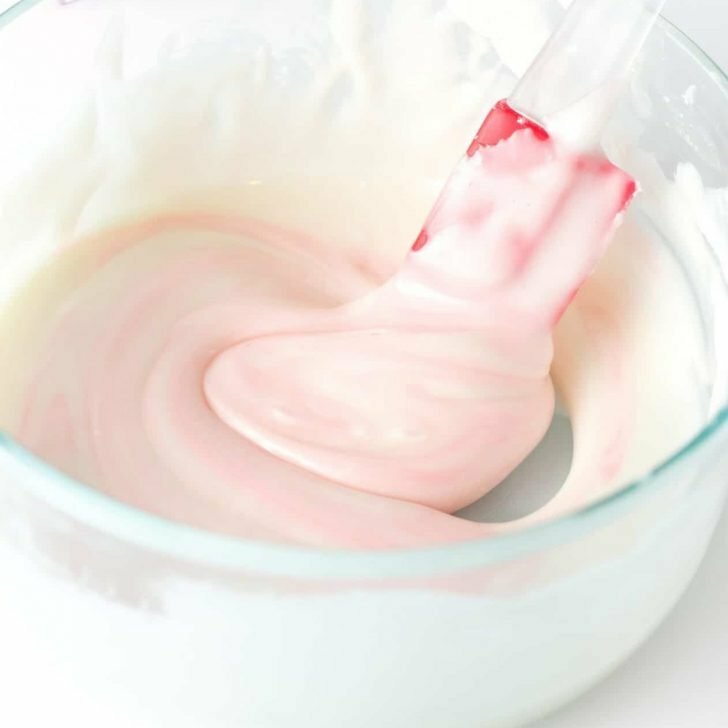 It’s time to get baking! 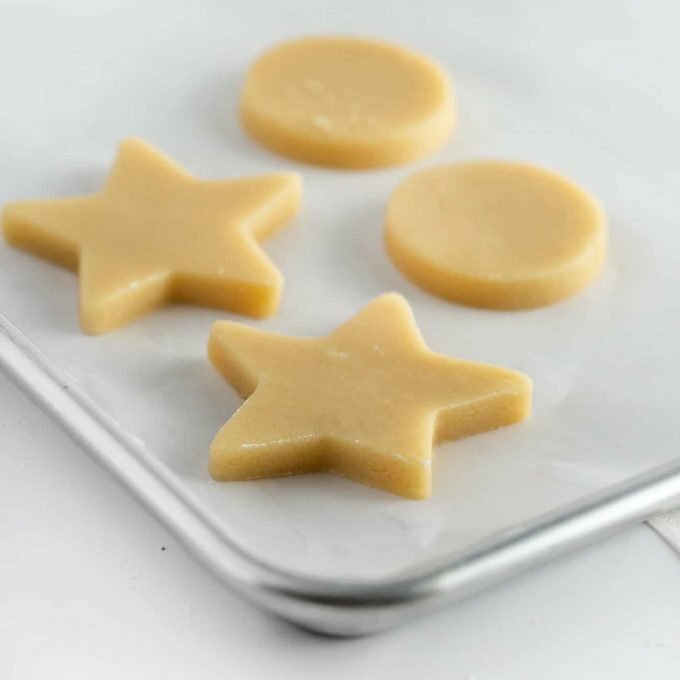 Check out my tips and tricks on how to roll sugar cookies to prevent sticking and spreading.